The upsides: a unionized cannabis industry could help improve wages and working conditions for men and women who labor in North Bay cannabis fields, warehouses and dispensaries. Unions could also assist the industry as a whole by rendering it more transparent, and by insisting on standards that contribute to the health and safety of employers, employees and consumers. The downsides: a wobbly workforce that's still laboring underground in many cases and that doesn't really need the union dues on top of the onerous tax burden that comes with compliance. Not to mention that there's not one or two, but three unions angling to ramp up their rolls with the North Bay cannabis labor pool. The International Brotherhood of Teamsters is one of the unions pushing to organize weed workers. Its drivers already transport legal weed throughout the state; now the union is pushing out into the fields and warehouses. At 1.3 million members strong, the IBT is one of the strongest unions in the country and now they're in the thick of a campaign to organize a California cannabis industry that is moving haltingly from illegality to legality. The Teamsters have already been engaged in the cannabis culture in this state for decades. Along with the California Growers Association, plus law enforcement and elected officials all across the state, the Teamsters supported and lobbied for Proposition 215, which ushered in the state's landmark medical marijuana regime in 1996. The Teamsters also lobbied in favor of Proposition 64, which legalized adult use in 2016 and launched the system of regulation and taxation that's now in place. Once the legal cannabis industry had employees who delivered and distributed marijuana, it made perfect sense, from the Teamsters perspective, to organize them. "Helping new industries evolve" is the current Teamster slogan. They'd like to see the cannabis industry evolve by embracing unionization—an effort already underway that's helped one California pot business organize its workers. The Teamsters recently helped organize workers at Continuum, a California marijuana distributor that has offices and warehouses in Oakland, Sacramento and Orange County. "We worked closely with the Teamsters," says Tim Morland, the compliance and policy director at Continuum. "Now all our employees—drivers and warehouse workers—are in the union and make $25 an hour." The Teamsters have also stood by their pot-transport workers when they've been arrested and detained by law enforcement. The Los Angeles police recently nabbed and held a cannabis delivery man named Richard Rodriguez, a member of Local 853, for 15 hours. The Teamsters found a lawyer who secured the trucker's release; no charges were filed. "No one has ever offered me that kind of protection," he told the Teamsters blog. "We need the Teamsters because they have those relationships." Closer to home, it's a challenge to obtain accurate information about where and what the Teamsters are actually doing on the ground in the North Bay on the cannabis front—in part because there's competition between rival local labor organizations that nobody in the union-advocacy movement wants to talk about, at least on the record. It's understandable that the union doesn't want to tip its hand about its organizing plans and invite sabotage at the hands of "right to work" agitators. And it's a touchy prospect going in: Some cannabis companies are still very much underground, or straddle a gray border that divides the legal and the illegal. They don't want or need the publicity of a union shop. A local Teamsters organizer who insisted on anonymity says of efforts to unionize the industry, "This is just the beginning. A lot of people haven't followed rules and still don't follow rules. They're not the easiest people to work with." The United Farm Workers (UFW) and the United Food and Commercial Workers International Union (UFCW), also aim to organize cannabis workers. If you're a cannabis worker, we want to talk with you," says UFW national vice president Armando Elenes. For its part, the UFCW asks that the Teamsters kindly step back. "The UFCW has a Cannabis Workers Rising Campaign," UFCW spokesman Jeff Ferro says. "We would hope they [the Teamsters] respect our jurisdiction." The competing unions reflect the diversity and scope of a cannabis industry that stretches from fields and warehouses to trucks, kitchens and dispensaries. Another Teamster spokesperson who requested anonymity says the union is aware of competition from the UFW and UFCW. One difference, she says, is that Teamsters don't want to be organized-labor militants. "We aim to be an advocate for the industry, not a thorn in its side." Organizers note that there's still some lingering bitterness in California's Central Valley between the United Farm Workers and the Teamsters, who tried to elbow out Cesar Chavez's organization in the 1970s. But it was a different Teamsters in the '70s—in bed with organized crime and with a corrupt ex-convict Jimmy Hoffa as its leader. The union has taken great pains to reform its image and organization since its mid-'70s lowpoint, when Hoffa disappeared and was presumed to be killed by the Mafia. He still hasn't been found. 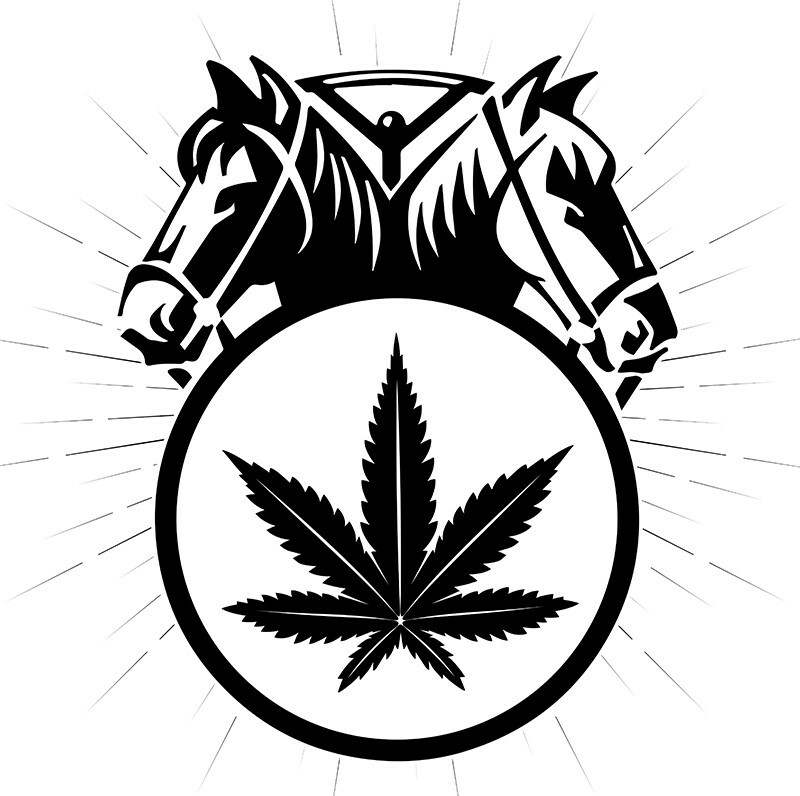 It's a different union today, even if it is headed by James Hoffa Jr.
Kristin Heidelbach heads the Teamsters Cannabis Division. A graduate of Sacramento State University, she commands an office in the state capitol, travels widely, speaks publicly and provides a recognizable name and face to an industry that has historically been reluctant to go public. Heidelbach worked closely for more than a decade with her mentor, Barry Broad, a Teamsters lawyer from 1985 until his retirement last year. For much of his career, Broad focused exclusively on cannabis issues. "We joined with members of the cannabis industry to reach consensus on issues and to create the regulatory system that's now in place," he says. "We knew it would be a rough transition for the legacy players, but the industry will settle down and become efficient, capitalized and automated like the rest of California agriculture. "Government officials," he adds, "had been uncomfortable dealing with people in the underground economy. Once the Teamsters unionized workers, it helped legitimize the industry." Broad says cannabis workers have suffered in the black market because they haven't been paying into or accessing Social Security, unemployment insurance or workers' compensation. "There has been a dark side to the cannabis industry," Broad says. "There's been use of child labor, which is against the law, and there has been a lot of pot on the market with fungus that's not fit for human consumption. We've helped to clean up the whole industry in more ways than one." Heidelbach carries on Broad's legacy. Over the past three years, she has staked out the Emerald Triangle for organizing pot workers. The Emerald Triangle has for decades been the heart of the California cannabis industry—though it's losing ground to Salinas, Monterey and Santa Barbara, where municipalities are eager for tax revenue from the emerging economy. Broad notes that Humboldt growers, far removed from the regional motherlode of cannabis consumers in San Francisco and San Jose. It's a long way to drive with a load of legal weed, he says, even for a veteran Teamsters driver.